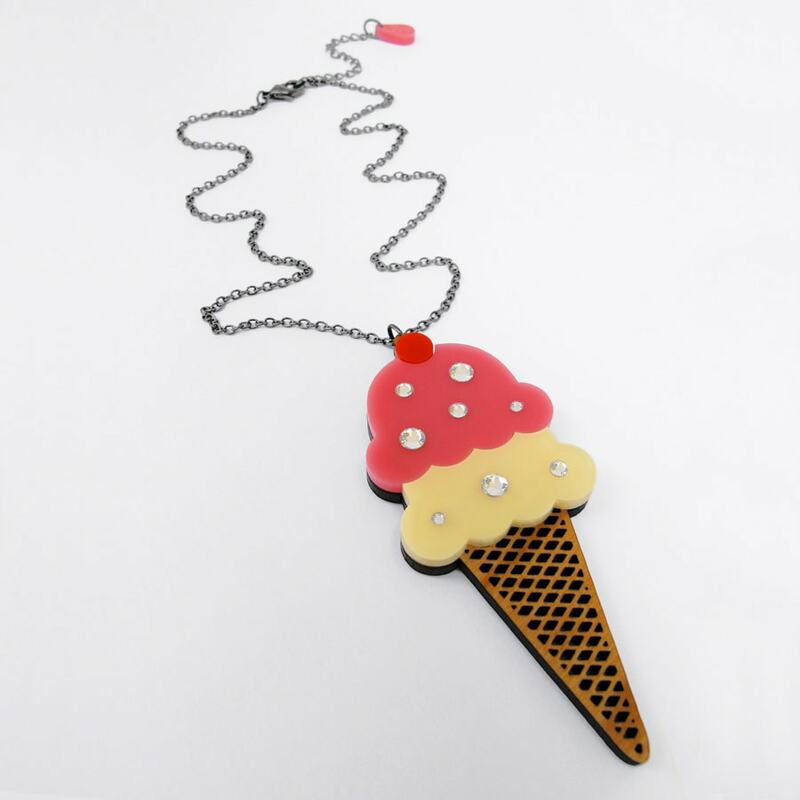 We all scream for ice cream right? 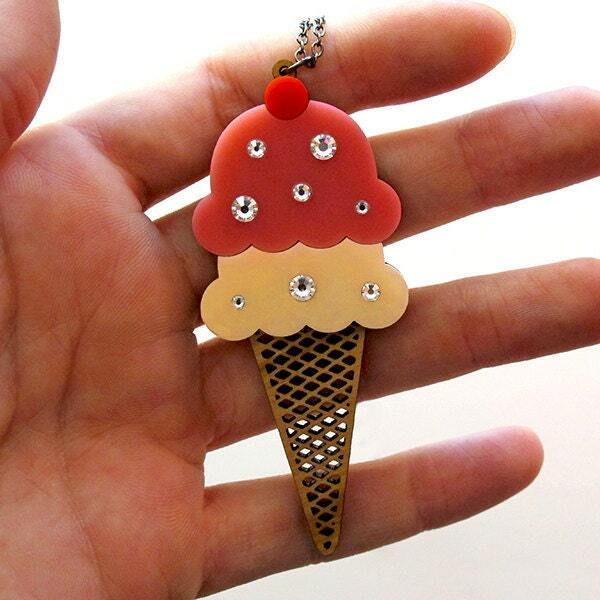 Or let this sparkly ice cream cone express your deep love for this delicious frozen treat! 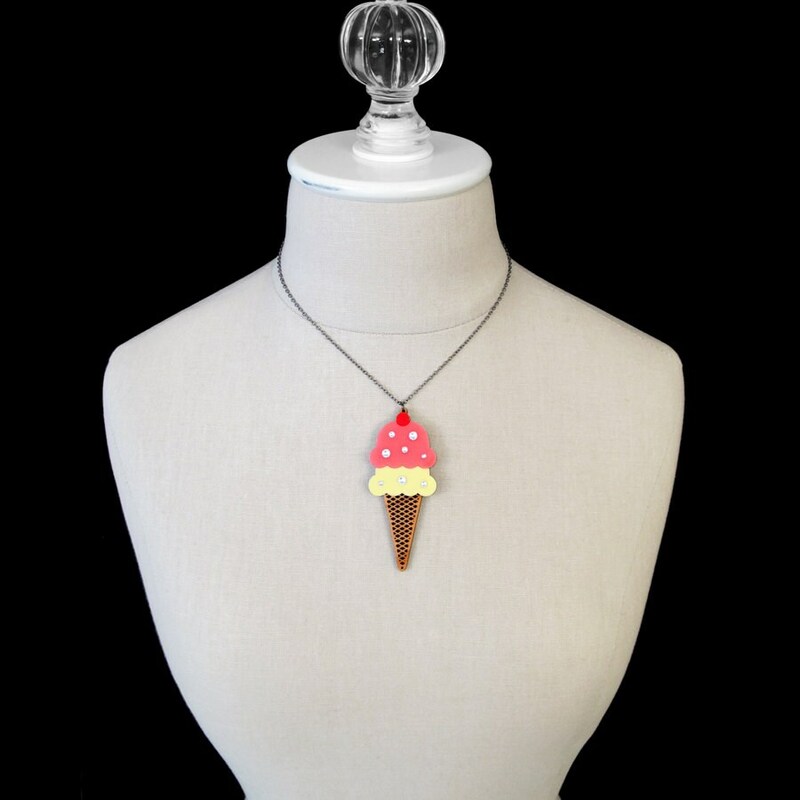 How can you resist when it's topped with a cherry! 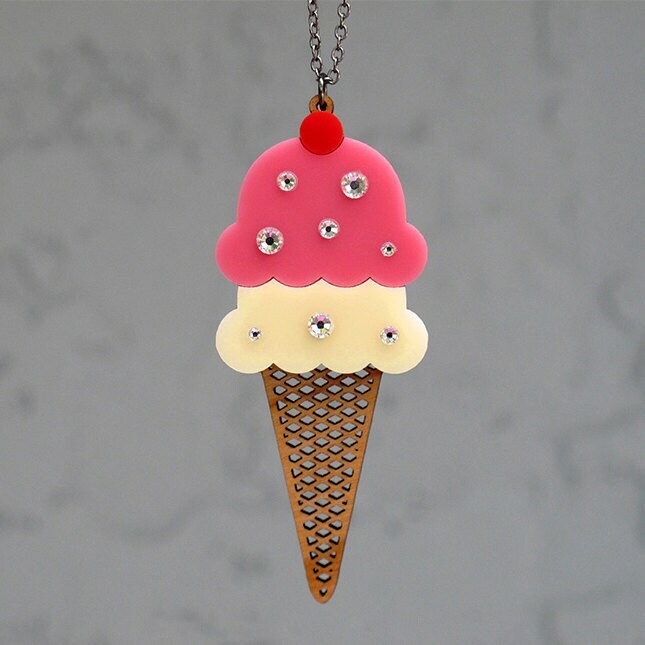 This ice cream cone necklace features Swarovski crystals in the ice cream scoops. 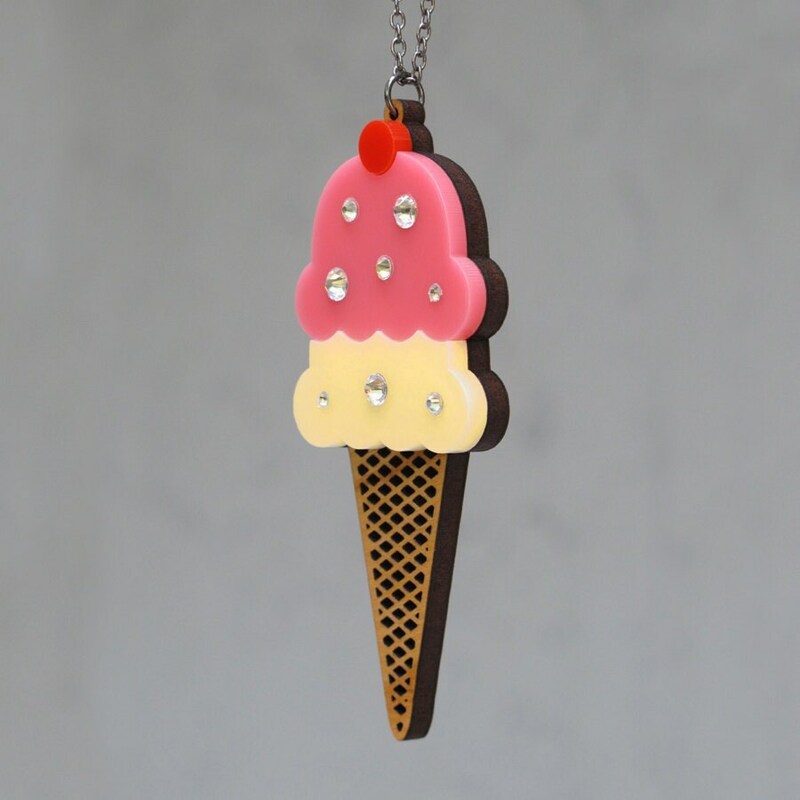 It is made of 2 layers of 1/8" thick acrylic and wood in 4 different colors: a red cherry on top, a scoop of strawberry pink ice cream, a scoop of vanilla ice cream, and a cherry wood cone.